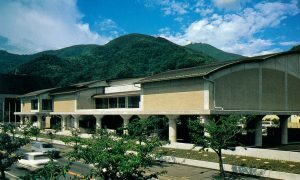 Sunritz Hattori Museum of Arts is situated along the bank of Suwa Lake in Nagano prefecture, a prefecture located in the center of Japan. 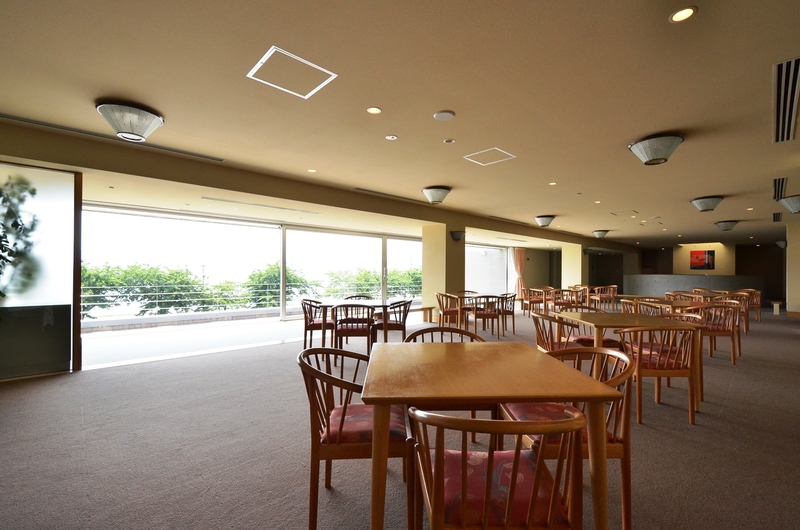 Designed by the late architect Uchii Shozo, renown for his iconic structures, the museum is a concrete modernist building conveniently located within 15 minutes walk from Kamisuwa train station. 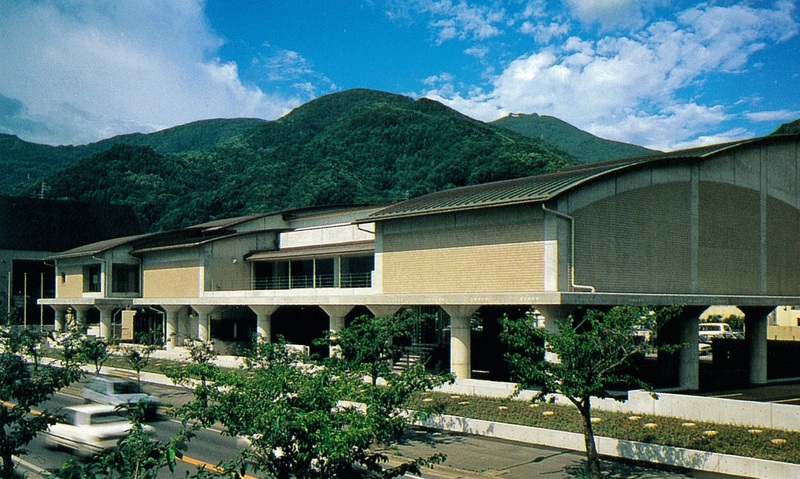 Enjoying a sweeping view of the Chuo Alps, the museum opened to the public in 1995. With the museum’s architectural design inspired by the theme of ‘clouds rising from the lake’, the site seems to be in harmony with the surrounding landscape. The concrete pillars mark the museum entrance with the main stairs leading to the first exhibition room. While the Sunritz Hattori Museum is highly regarded for its exquisite East Asian antique collection, what awaits the visitors as they enter the first room however are modern and contemporary paintings including works by Renoir and Chagall. 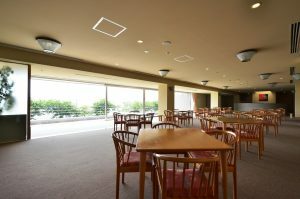 Once through the first exhibition room and along the bright glass lined walkway, the visitors will find themselves in the second exhibition room. Here, a beautiful presentation of tea ceremony utensils greet the visitor together with one of the museum’s star piece, the white raku tea bowl by Hon’ami Kōetsu (1558-1637), which is designated as a National Treasure. The room also displays a wide range of world-class paintings, calligraphic works and other ceramic pieces from Japan and East Asia. The white raku bowl made by the multi-faceted artist Kōetsu and in the museum’s collection is a breathtaking piece. The bowl is admired for its somber white glazed top and the ashy blackened hip for it resembles Mount Fuji in its snow capped glory. It is said that the finish was such that the bowl could never be replicated. Kōetsu named the bowl ‘Fuji-san’ using the characters ‘no two mountains alike’ for its irreplaceable beauty. Naming one’s ceramic pieces was a highly unusual and historically unprecedented practice until Kōetsu’s defining act, and makes this bowl’s narrative particularly unique. It is worth noting that this is one of the two tea bowls designated as a National Treasure, and is the only authenticated work with a confirmed artist’s name. For those visiting the Museum this summer, a special exhibition is held where the bowl is on display together with other outstanding pieces by Rimpa school artists. 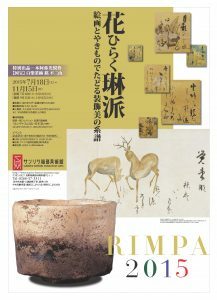 The exhibition entitled ‘RIMPA: The Lineage of Decorative Beauty’ is on from 18 July to 5 November. Rimpa refers to the school and style of images developed by Hon’ami Kōetsu and Tawaraya Sōtatsu in the early Edo period (1615-1868). Promoting its distinct decorative style made in response to past works, Rimpa school created its own unique aesthetics through decades of reiterations. 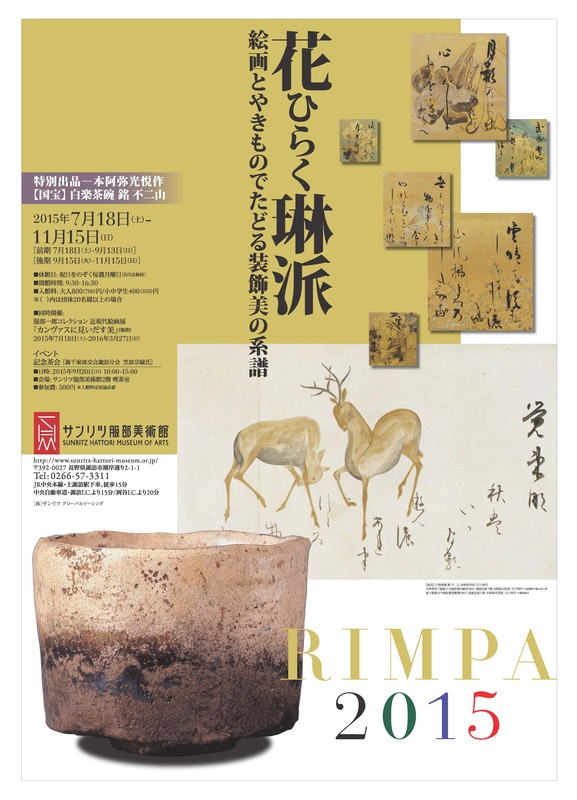 The exhibition features a range of Rimpa school paintings and provides a vivid overview of their lineage together with ceramics from the same period. 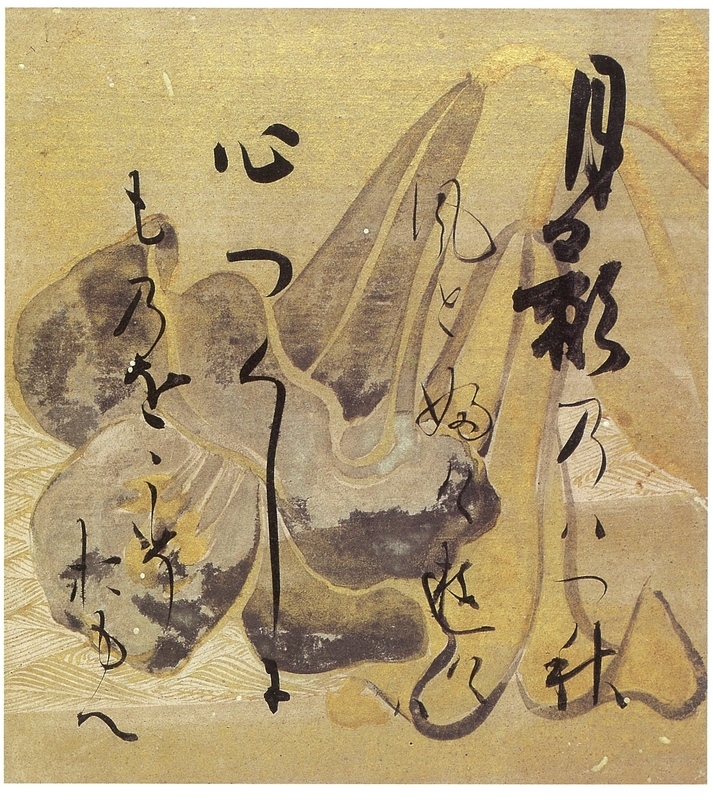 One of the key pieces exhibited is the Flowers and Grasses of the Four Seasons, and an album containing shinkokinwaka-shū poems. Kōetsu was also an established calligrapher and often worked–as he did with this piece–in collaboration with Sōtatsu, who created the images. The 12-page album is believed to have been used as a handbook to study Kōetsu’s calligraphy style and was also a household presentation piece (chōdo tehon) to adorn interior spaces. Sōtatsu, who was tasked to sketch the background image for Kōetsu’s poem prepared a bold and beautiful design that broke traditional conventions. Kōetsu carried his brush without a trace of hesitation to inscribe his waka poetry across the dynamic image of Sōtatsu’s painted foliage. The townsmen of Kyoto during Kōetsu and Sōtatsu’s Momoyama to Edo period enjoyed the fruits of a strong economy and vibrant culture. The work created by the two artists references the charismatic energy of the Momoyama Kyotoites. Other exemplary Rimpa works from the Sunritz Hattori collection on display include the Otogoze (Goddess of Good fortune) by Ogata Kōrin and the Red and White Plum Blossom folding screens by Sakai Hōitsu. Many of these works are rarely shown and we hope to welcome many visitors to come and enjoy the beautiful decorative lineage of Rimpa.